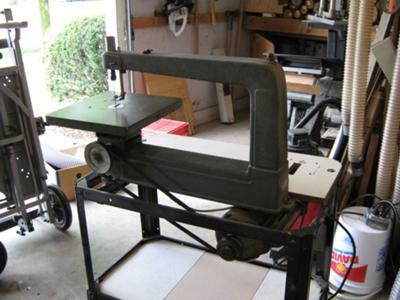 Have 18" Model 103.23151 jig saw in very good condition and have no clue what value might be. With 1725 rpm GE 1/4 HP motor. Am considering selling. Works well, just have no need for two. Just learned from another OWWM listing that upper arm can be removed and sabre saw blade installed in bottom end to use as a stationary sabre saw type dealio. Have not tried it, but makes sense. Table top is rust free. Stand is functional at best.